So I have appearances this week! 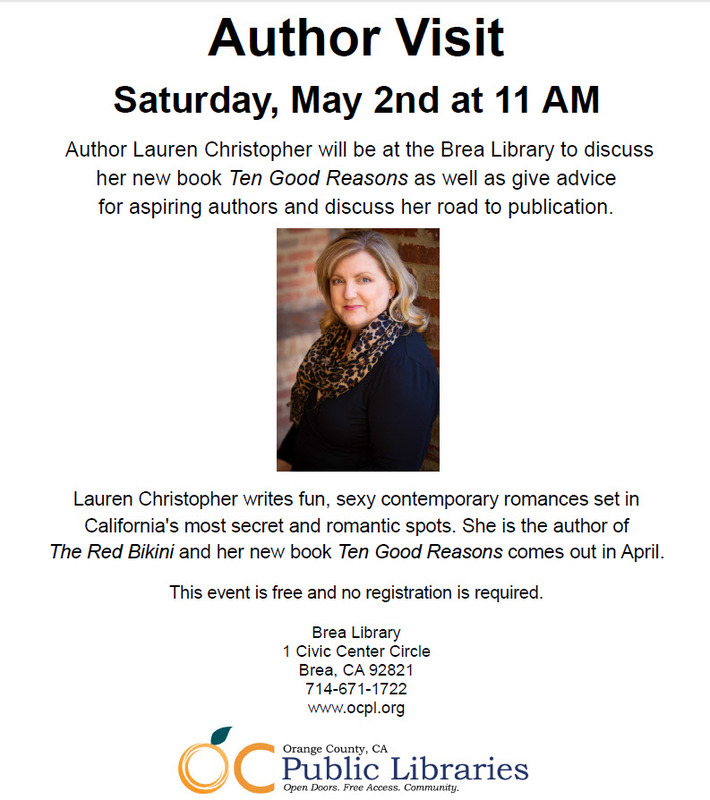 I’ll be at the Brea Library this Saturday, talking about writing and publishing. It’ll probably be just me, my mom, a few friends, and their moms, but we’re sure to have a good time! I told my 15 yo son I wasn’t sure what to talk about, and he told me he thinks I should speak entirely in cliches: “Don’t give up. Follow your dreams. There are many roads to choose. Take the path less chosen. …” He made me laugh. If you’re local, though, I’d love to see you at 11 a.m. at 1 Civic Center Circle, Brea. The best place to park is the underground parking structure accessible from Birch St. The parking structure entrance is located between the Civic Center and the Embassy Suites Hotel. You can park and take the elevator up to the lobby level. 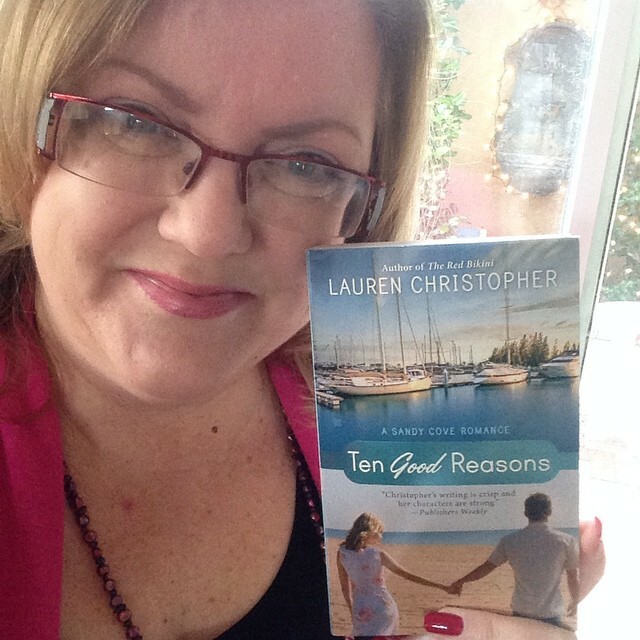 If you just want to meet up virtually, I’m also over on the Harlequin Junkie blog this week, telling my very favorite scenes from TEN GOOD REASONS. (Can you guess what they are?) 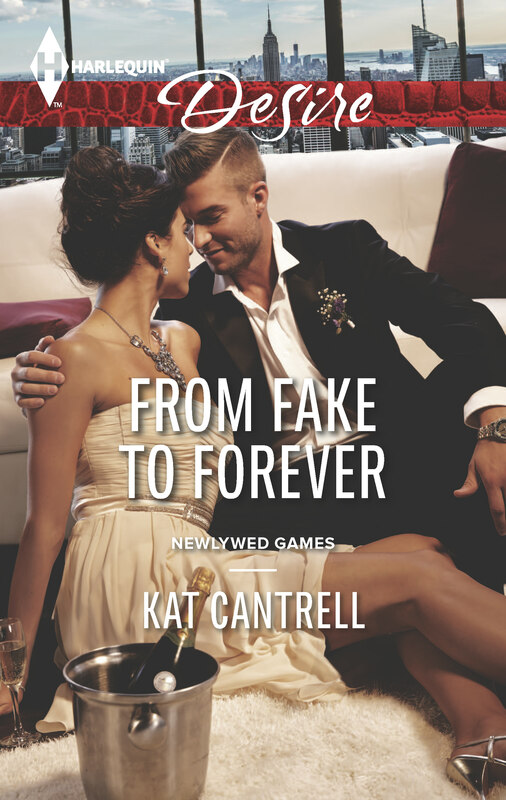 Come check the excerpts out and enter the Rafflecopter giveaway if you wish. 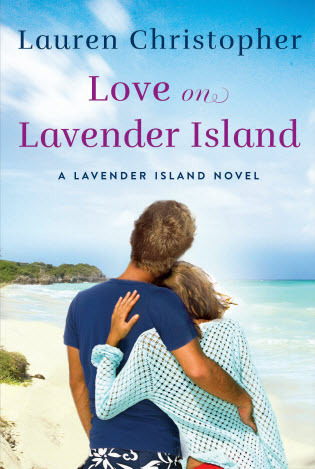 Just click here: Lauren Christopher on Harlequin Junkie. Hope to visit with you all soon! Rumor has it that the number of reviews is what determines how many Amazon algorithms you get into, and results in the number of “recommended buy lists” you get on (like the “…if you like this book, you might like this one…” variety). So, if you want to help me out (and other newbie authors), and get an author you like out there for the world to see, once you read a book you like – whether you buy the book on Amazon or not – please leave three or four sentences about it and however many stars you want. Go to the book’s page on Amazon. There should be a square, gray “Write a Customer Review” button at the bottom of the existing reviews. Click on that, and you’ll be brought to the review page. You can create a “reviewer name” in the top right corner. (You can review under a name other than yours. On Amazon, my reviewer name is “Readermama.”) Then type in your review and the number of stars. 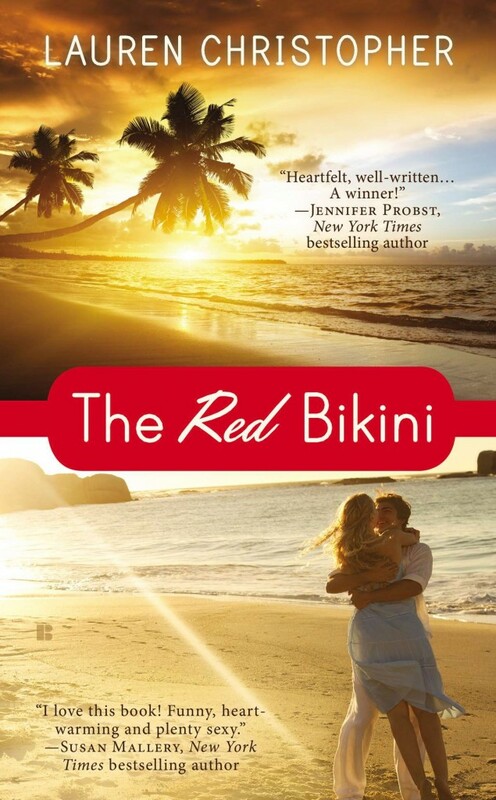 1 Star – This book is horrible. 2 Stars – This book is bad. 3 Stars – This book is okay. 4 Stars – This book is good. 5 Stars – This book is excellent. Was it a page-turner? Did it keep you up at night to finish? Did you like any of the characters in particular? Why? Did you like the setting? Did the author transport you there? Did any part make you laugh/cry/relate? Did you recommend or buy the book for anyone else? So that’s it! If you write one for me, I thank you for helping me out! We’re starting a new thing! 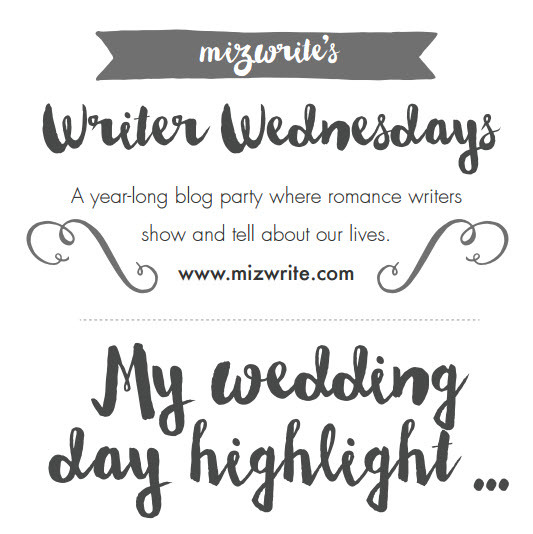 I’ve begun a romance-writer blog party where, once a month, my writer friends and I will all be blogging on the same topic on the same day — we’ll be talking about things all romance writers love to talk about: reading, writing, and romantic things! 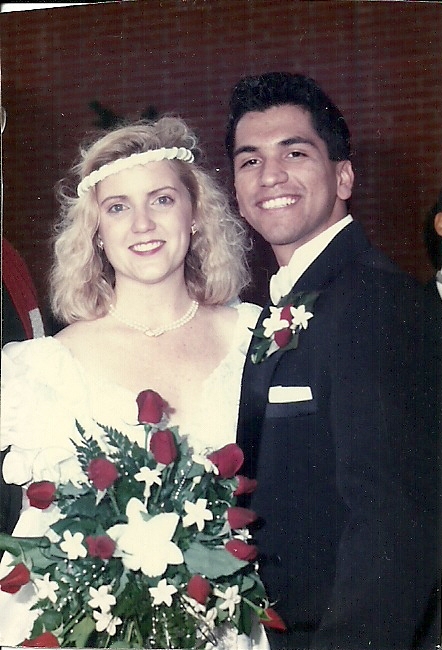 Our first one is about our wedding day highlights. 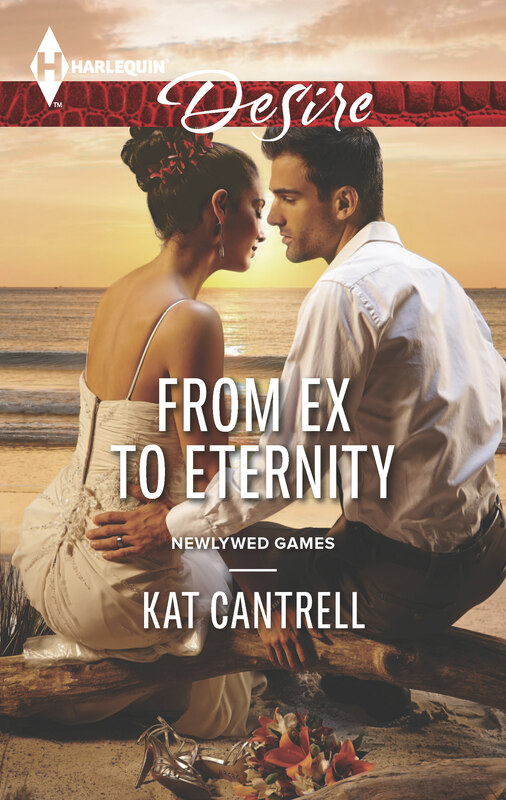 We picked this topic because our friend Kat Cantrell has TWO books coming out at Harlequin this month, both involving weddings: From Ex to Eternity and From Fake to Forever. You can see them at the bottom of this post, plus check Kat out here. 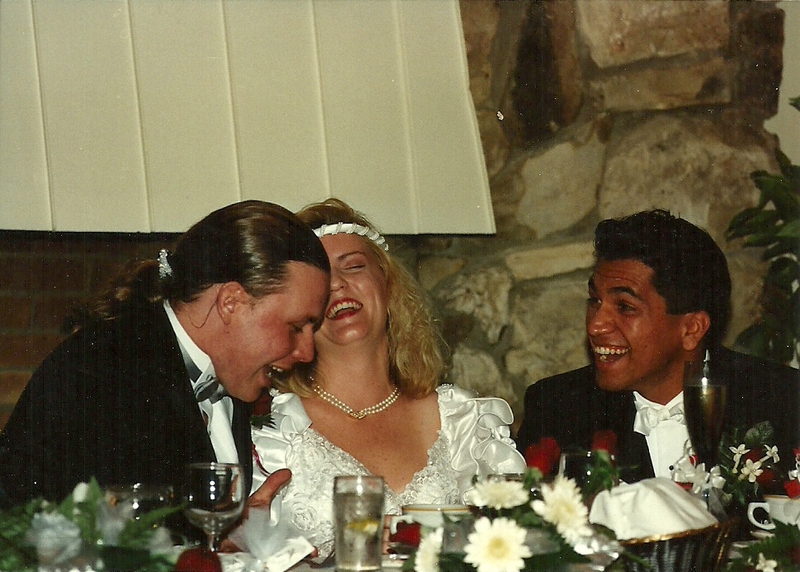 J.R. Taylor was the best man in our wedding, and — like in the photo above — he was cracking us up all day. He was Chris’ best friend. He’d flown in from Montana, where he’d been living after finishing his stint in the army as a paratrooper with the 82nd Airborne. At the wedding, he brought a flask for Chris to calm his nerves (a spirit they’d enjoyed as buds in the past), gave a great toast, danced with the prettiest girls, and just all-around had a great time. At the end of the wedding, we had done a crazy complicated car-switch because my dad had ordered us a surprise limo (Yay, Dad!) from the church to the reception. So some of us were without cars at the end of the night. And J.R. didn’t have a way home from the reception, and he’d come alone. So somehow we offered to give him a ride. Yep, in our “getaway car” with the windows all decorated “Just Married!” Problem was, Chris and J.R. were smashed by the end of the reception. And I hadn’t drunk at all. So I was voted the designated driver. And then as we started driving, my two drunkards started complaining that they were “huuuuuungry, Laurie, huuuuuuungry,” and they wanted to go to In-N-Out. So I laughed and pulled into the one in our home town. Which is like the ONLY In-N-Out in Southern California that isn’t a drive-through (because of an old no-drive-through rule in Placentia). So the three of us piled out of the car and walked in and ordered hamburgers — the bride (yep, still with her veil on! ), and “two grooms”! We got a lot of attention at In-N-Out. But we had so much fun. And that will forever be my wedding day highlight. And here are Kat Cantrell’s wedding books from Harlequin this month! Kat’s one of the Firebirds, and a great writer! Well, I had a very fun launch week! Thanks to all of you for your supportive tweets, emails, texts, likes and the like — it really means the world to me. The next day, after the day job, I had a super-fun Facebook party with fellow authors and Firebird friends Tracy Brogan (“Crazy Little Thing,” “The Best Medicine”), Terri Osburn (“Meant to Be,” “Home to Stay”), Kim Law (“Ex on the Beach,” “Hot Buttered Yum”) — all celebrating the huge launch of our buddy Tamra Baumann’s first contemporary “It Had to Be Him.” It was a lot of fingers flying across the keyboard while we all chatted with friends and fans and asked and answered questions about reading, favorite books, favorite heroes, favorite desserts, and life in general, and it was so much fun. I love seeing all our friends and fans talking to each other, and it gives us a chance to get to chat with you all, too. The week rounded out with phone discussions with my agent about my new series, making this all seem even more surreal as I was negotiating Book 3, planning Book 4, all the while marketing Book 2. Hard to believe I’m even saying sentences like that. Overall, it was a fabulous week, and I’ll be updating you with more TEN GOOD REASONS shenanigans as we go! OR at a Barnes and Noble bookstore near you! At Barnes and Noble stores, I should be in the “New Releases” section in the Romance area. If you don’t see the book there, please ask at the front desk. Those requests encourage them to order my books. That’s four chances to win! Join the fun and get those photos in. You can send your photos to laurenchristopher[at]live[dot]com. 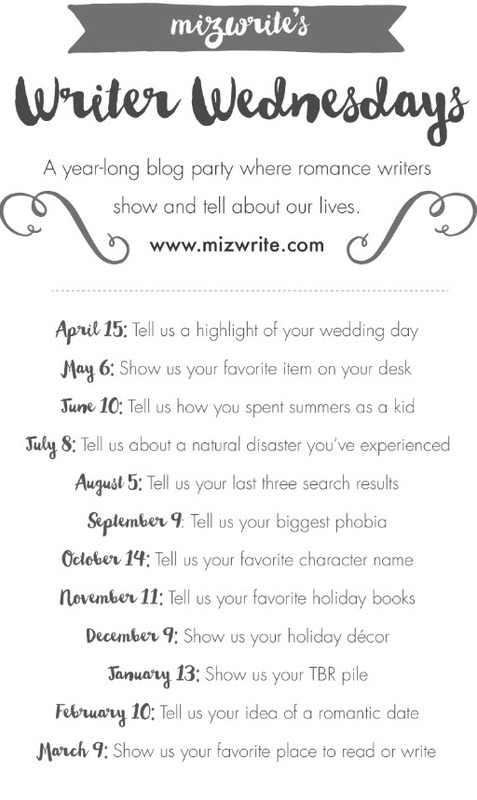 Or, on Instagram or Twitter, tag me @mizwrite or hashtag it #10goodreasons and I’ll catch you that way! * Write an Amazon review. It really makes a difference in a writer’s career how many reviews she gets, so I’m going to be continually begging for reviews. If you’ve already left one, THANK YOU. It really helps. I’m so excited to talk about the book and hear what you thought! Would you all be interested in a TEN GOOD REASONS book club discussion on Facebook? (Similar to the one we did for THE RED BIKINI?) Let me know! Thanks, all! And happy reading this weekend! 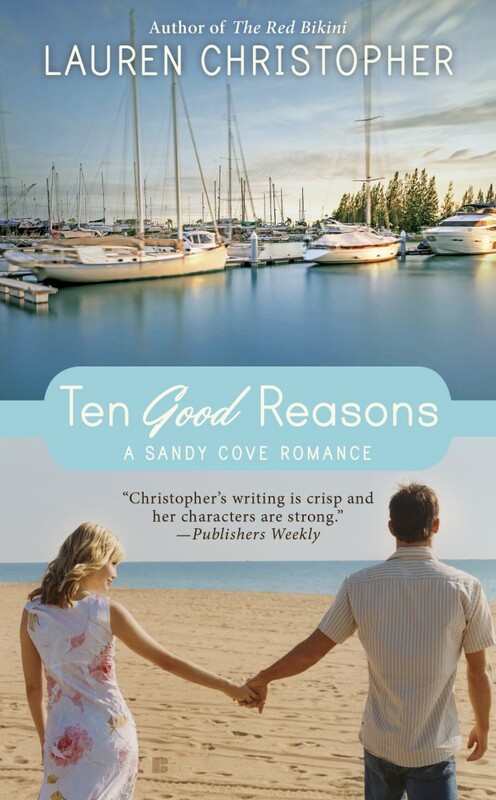 TEN GOOD REASONS Launch Day! The day is finally here. TEN GOOD REASONS has launched! I hope you all enjoy the book as much as I do. If you want to learn more about it, or what went into making it, and see some fun facts, videos, and more, visit my Ten Good Reasons book page here. I’ll be adding material to it over the next couple of months, so please visit often! 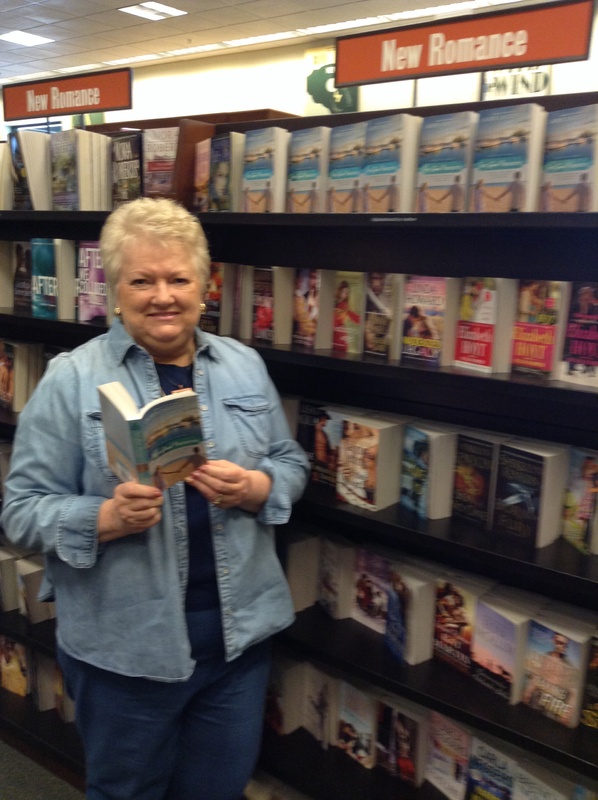 The first person who sends in a photo of themselves with TEN GOOD REASONS in a Barnes and Noble! So those are some things that can really help! April 8 (Tomorrow!) 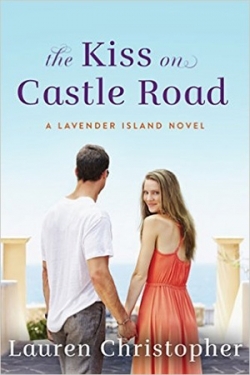 – Kindle Giveaway and Facebook Party — My Firebird sisters Tracy Brogan (“Crazy Little Thing,” “The Best Medicine”), Terri Osburn (“Meant to Be,” “Home to Stay”), Kim Law (“Ex on the Beach,” “Hot Buttered Yum”), and I will be celebrating the huge launch of Tamra Baumann’s first contemporary “It Had to Be Him” at a Spring Fling Book Giveaway on Facebook Wednesday, April 8, 1-7 p.m. PST. (You can pop in and out anytime you like!) We’ll be asking easy questions giving away lots of books, gift cards, gift baskets, and there will be a grand prize of a KINDLE! You can join by clicking here. Please come! It’s going to be so much fun! 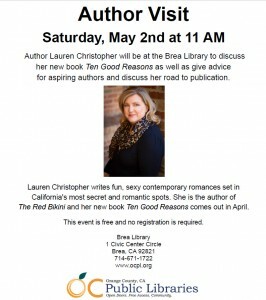 May 2 – Author Talk at the Brea Library — The Brea Library has invited me to do their Author Talk on Saturday, May 2 at 11 a.m., so come meet me there! I’ll be speaking for an hour, giving away door prizes, and I’ll sign any books you bring. I’d love to chat with all of you! The Brea Library is at 1 Civic Center Circle, Brea, California. Photo Contest – Details mentioned above. 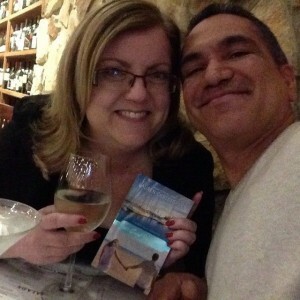 I’m giving away four $10 Amazon gift cards and four Sandy Cove souvenir packs to four lucky winners: the first photo sent to me, the most creative photo, and two randomly selected photos submitted now until June 7! Send photos to laurenchristopher[at]live[dot]com.